The thinnest snow chain in the world! 7 mm electro plated micro links. The areas highlighted in yellow must exceed 7 mm. The recommended minimum clearance is 9 mm. Can be fitted where it would often be impossible to fit normal snow chains. 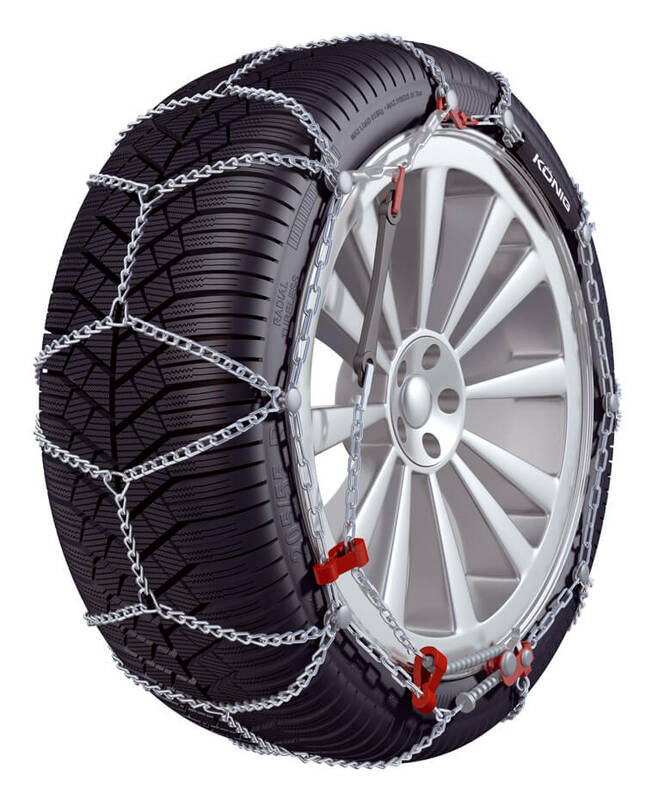 The Thule/Konig CK-7 was designed specifically to fit tyres where, a lack of clearance between the tyre and the car's bodywork or suspension etc., would normally make it impossible to fit regular snow chains. The maximum projection is on the inside of the tyre wall and over the top of the tread is only 7 mm. The chain section comprises of a special twisted link construction, which enables the thickness to be reduced to 7 mm. The special design of the chain configuration ensures that each single link comes into contact with the snow, thus increasing grip and traction. Add image Anti scratch protectors are incorporated around the outside tyre wall to protect alloy wheels. 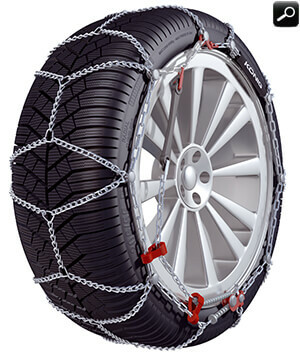 If you change your car and need a different size or type you can take advantage of our unique Thule/Konig CK-7 snow chain exchange service. The special design of Thule/Konig Ck-7 Causes each single link to come in contact with the snow and ground, thus increasing grip. Ideal for cars with space problems between the wheel and the wheel arch. Special twisted links on the tread.